Click on “Load Contact File” button to load recipient number list and corresponding message. 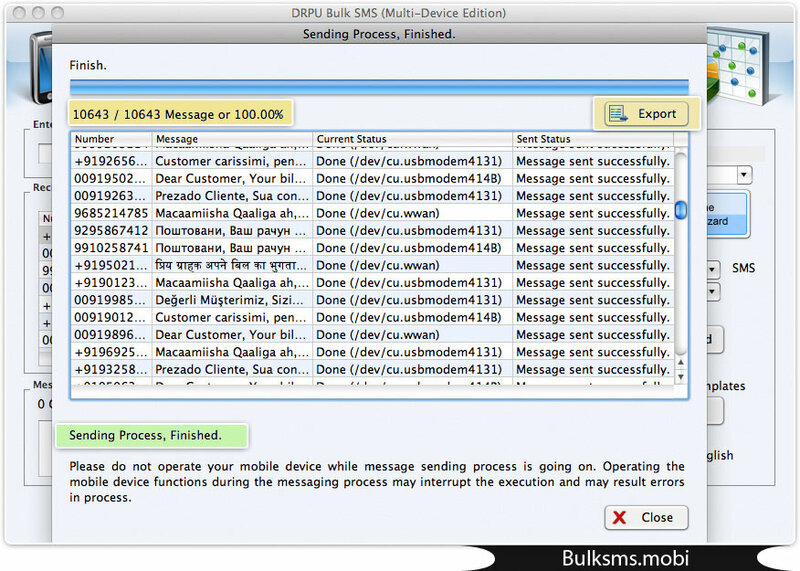 Click on “Send” button to start sending SMS process. 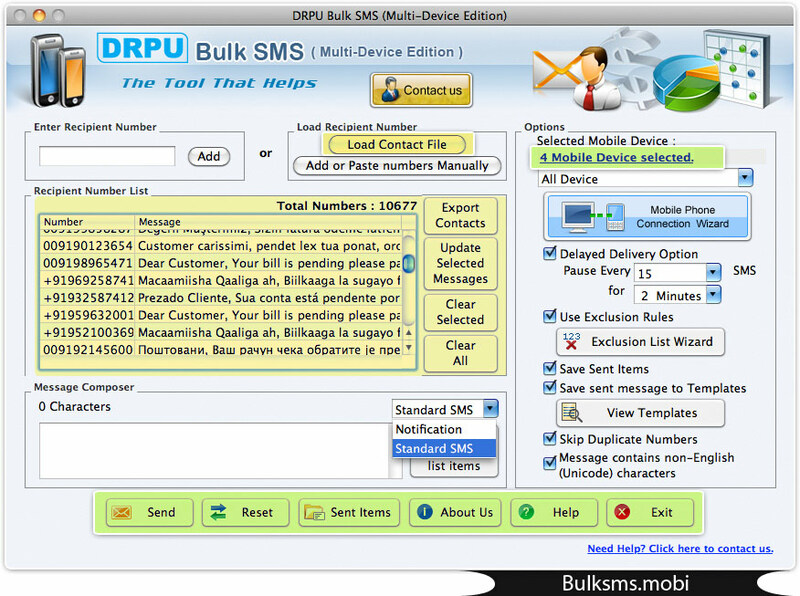 After completing message sending process, you can export sent items by clicking on “Export” button. 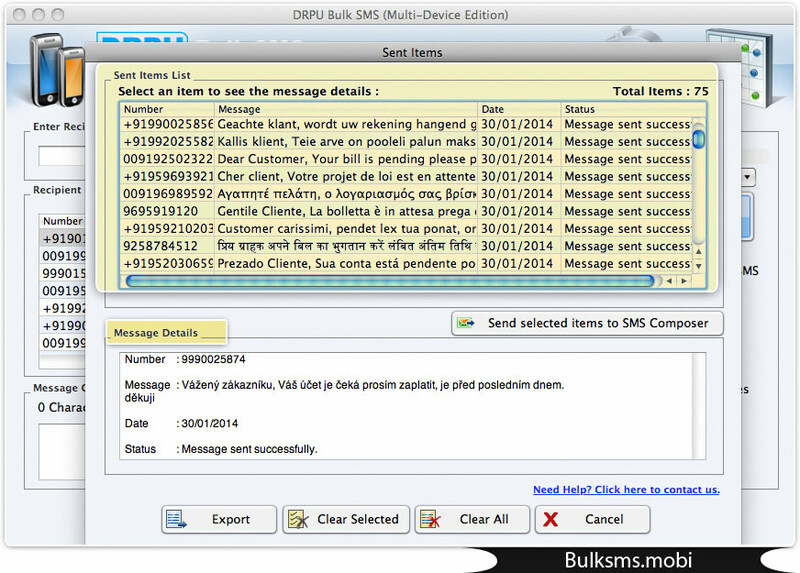 Screenshot shows list of all sent items, select particular item to see the message details.